With so many competitors out there it’s important for pubs to advertise all their offers and PVC banners are a great way to do this. 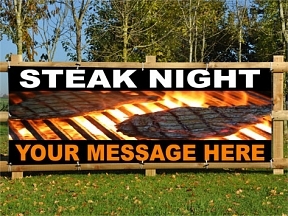 Pubs always have special offers on whether it’s a food offer, themed night, a drinks promotion or live sport….. we have the PVC banner for you. 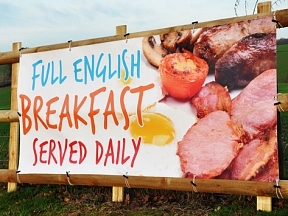 Take a look at our great range of pub PVC banners and start advertising today. Pub banners are a great way of encouraging new and existing customers to pay you a visit on a regular basis. Pubs have diversified over the years by offering a range of food choices and themed nights throughout the week encourage repeat business every week. 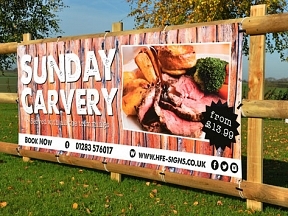 At HFE, we have created a wide range of pub banners which can be easily displayed on your premises, with the majority of pubs having outdoor space where food banners or drink banners can be displayed. Food banners can work along a number of themes. Many pubs want to advertise their Sunday roast dinners which are often big family occasions, although there are also curry nights, burger nights, steak nights, two-for-one meals and kids-eat-free offers that can attract a potential customer. You can create a food banner of your own at HFE using a free design service. So if you have graphics and text ready to add to a display item, then you can work up your design and make sure you’re happy with it before ordering the banner. Alternatively, there are a variety of pre-made food and drink banners so customers can pick one off the online shelves and order them straight away. An order made before 11am means that the banners are despatched for next day delivery and there’s free delivery on two or more banners. Hotel banners are also a warm order at HFE. Hotels can use the banners to advertise special room rates, exclusive packages and their leisure facilities. As with the food and drink banners, we recommend you use high-quality images to get the best possible banner for display purposes. Our PVC banners are very popular and food banners start from £19.99. These are hard-wearing banners made of strong durable outdoor 550gsm coated PVC. The food and drink banners have full solvent inks for outdoor durability, which means that the display items withstand the elements all the way through the year. Perhaps you’re a pub or a bar wanting to advertise drink offers rather than food. In which case, HFE have a bunch of ready-made drink banners which run along a variety of themes. You may want to push offers on a bottle of wine, Happy Hour or two-for-one deals and there are banners available to get promoting straight away. 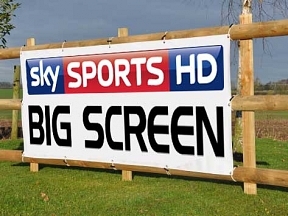 We’ve also got pub sports banners which are especially pertinent now that live football can generally only be watched on Sky Sports or BT Sport. Therefore, pub banners advertising the fact that you have both of these satellite channels can be a great way of drawing in sports fans, while any pubs with a big screen should also make sure that people in the vicinity know about it.